MCM London Comic Con May 2018 Newswire #1 – Friday news round-up. Everything you missed at today's Anime Limited panel. Hi folks! As you might be aware, this afternoon we took to the stage at the MCM London Comic Con to bring you fun, frolics and – most importantly of all – a lot of important news! Of course, we know that not all of you are able to make it to the event, so for those of you who couldn’t attend here’s a quick run-down of what we had to talk about during our Friday panel at the show. Don’t forget, we have a second panel on Sunday, so keep your eyes peeled for further news a couple of days from now, and in the meantime, here’s a reminder of all of our activities across London Comic Con weekend for anyone visiting over the course of the event. 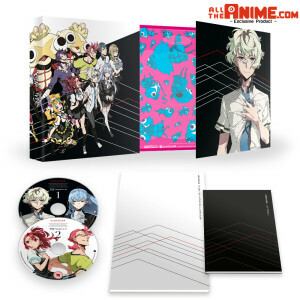 In case you missed it, yesterday we posted a first look at our home video release plans for Mari Okada and Studio Trigger’s fantastic series Kiznaiver. Head on over to our blog post on the subject to see the full low-down, including details on our stunning AllTheAnime.com shop exclusive art book! 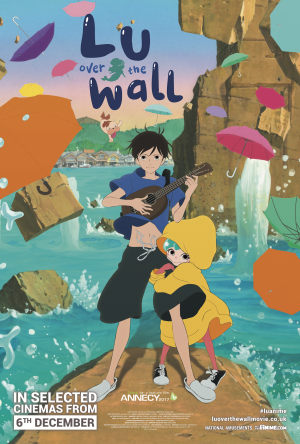 In a similar vein, at today’s panel we also revealed our precise plans for Masaaki Yuasa’s family film Lu Over the Wall on home video! We’ll be revealing this in full to all and sundry in the form of a full blog post on our site tomorrow, so keep your eyes peeled for that on Saturday morning! As well as existing titles, we also had a few brand-new titles to announce at our panel. First up, we’re excited to announce that we’ll be bringing Season 1 of JC Staff’s beautiful, charming healing title Amanchu! to the UK on home video. 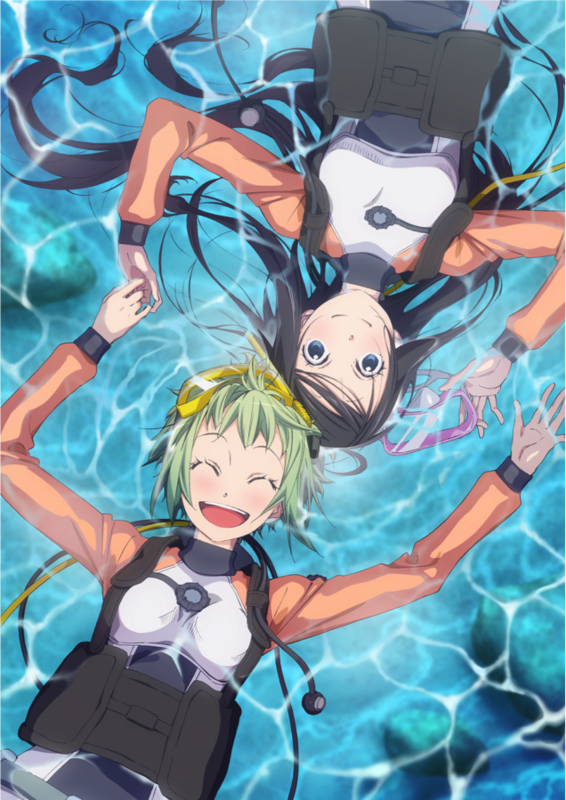 We don’t have any exact plans to reveal at this particular point in time, but we can confirm that Amanchu! 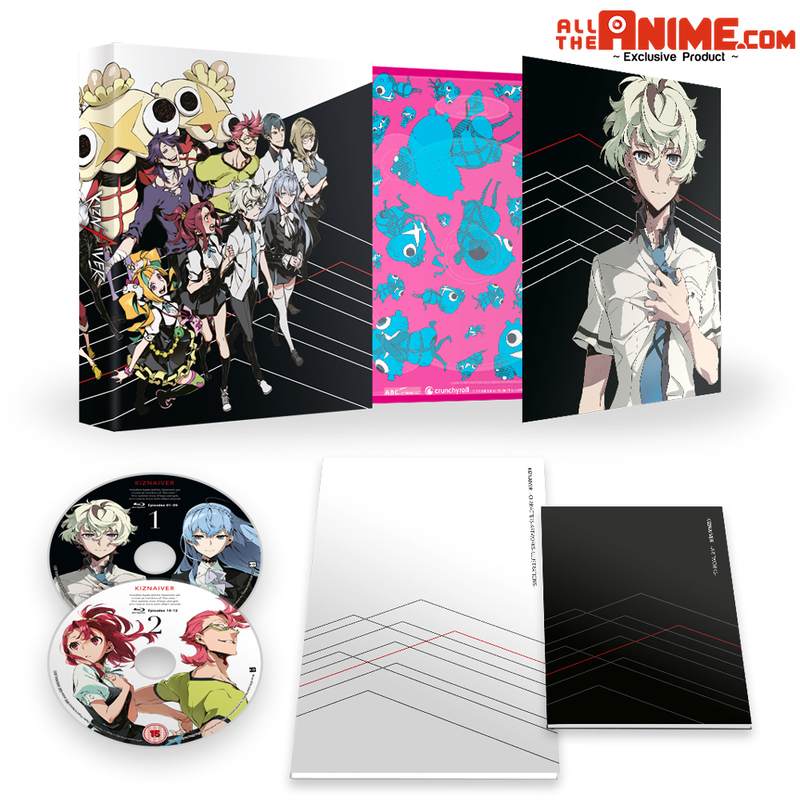 Season 1 will be arriving as a Limited Collector’s Edition Blu-ray set later in 2018. Synopsis: “After moving from Tokyo to a small seaside town, 15 year-old Futaba is captivated by the ocean views and the vast expanse of water which she finds laid out before her. Unbeknownst to her, Futaba’s fascination is shared by Hikari, who has lived in the town her entire life, and the two girl’s lives intermingle unexpectedly when the introverted Futaba meets the outgoing and exuberant Hikari as one of her new classmates. We know that many of you are chomping at the bit for more news on our future plans for Mobile Suit Gundam now that Mobile Suit Gundam: The Origin I-IV is about to hit retail stores, and to satiate your desire for more of these seminal giant robots we’ve confirmed our plans to bring two more stories from the Gundam universe to the UK in 2018. Synopsis: “The year is 2307 A.D. While the Earth’s reserves of fossil fuels have been depleted, humanity has obtained a new, nearly infinite source of energy to replace them in the form of large-scale solar-powered generation systems based on three huge orbital elevators. However, the benefits of this system are available only to a handful of major powers and their allies. Now, this one may be a little confusing to some of you, who may recall that we had to announce the sad news that we’d no longer be releasing Sound! Euphonium in the UK back at the October 2017 MCM London Comic Con. Such was the outpouring of sadness and frustration at that announcement that we went back to the drawing board to see if there was anything we could do. The good news is that we did manage to rectify the situation, and thus Sound! 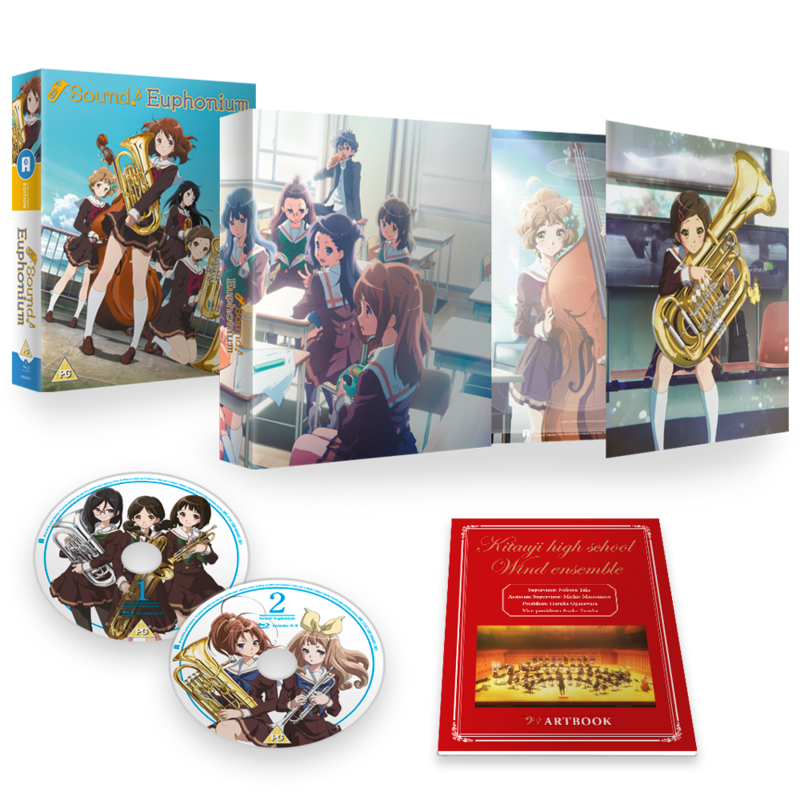 Euphonium Season 1 (and, we should note, only season one) is now back on the table for a UK Blu-ray Limited Collector’s Edition release! What’s more, you’ll be able to pick up the series to own in 2018 – we’ll confirm a precise release date as soon as we have it, but we’re currently aiming to release the series sooner rather than later. In case you’re new to the show, here’s the synopsis for you. Synopsis: “After the disappointment of defeat in a major competition during her final year in middle school, brass band music has lost its lustre for Kumiko as she enters high school. 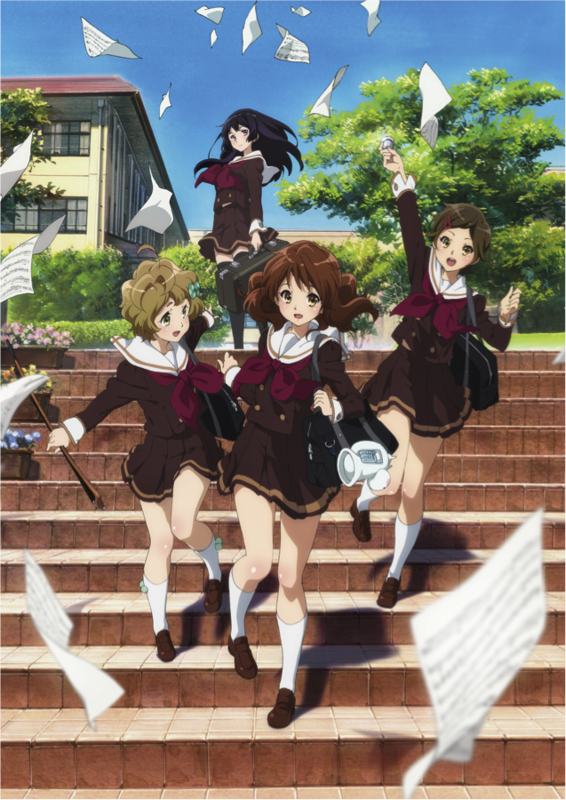 Despite vowing to leave music behind and make a fresh start, peer pressure from her new-found friends sees Kumiko once again taking up the Euphonium for Kitauji High School’s band club. Now for something entirely different… not anime itself, but a documentary about the production of anime. 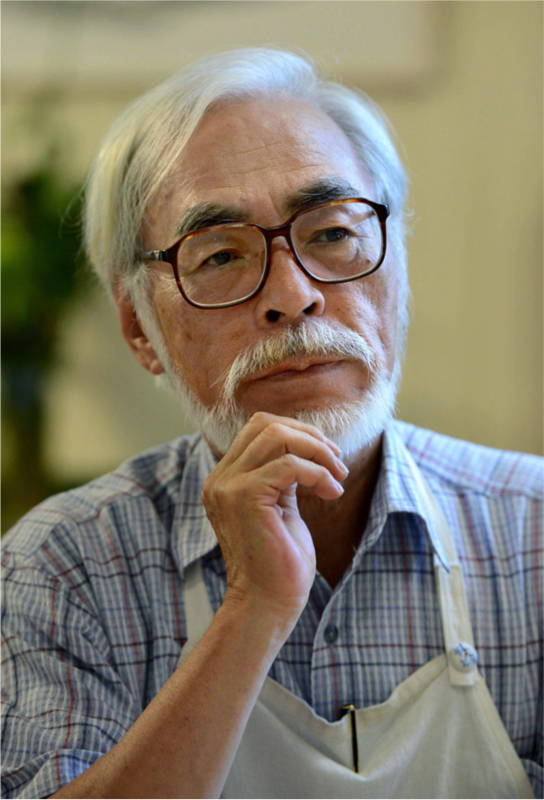 Not just any old production though, but the return of Studio Ghibli’s Hayao Miyazaki to the limelight after previously announcing his retirement, as NHK (Japan’s national broadcasting company) documents the old master learning new tricks while also returning the craft that has marked him out as a genius of the form across so many decades. Whether you’re a fan of Studio Ghibli’s works or simply interested in anime production as whole, Hayao Miyazaki: Never-Ending Man is an astonishingly frank documentary which shouldn’t be missed, and we’ll be bringing it to home video at an as-yet unspecified future date! That’s all of the news from our Friday panel at MCM London Comic Con collected in one easy-to-read place for you – as mentioned, keep an eye out for our first look at Lu Over the Wall tomorrow, and check back on Sunday for a report from our Sunday panel at the event for even more news and announcements! Great news about Sound Euphonium. 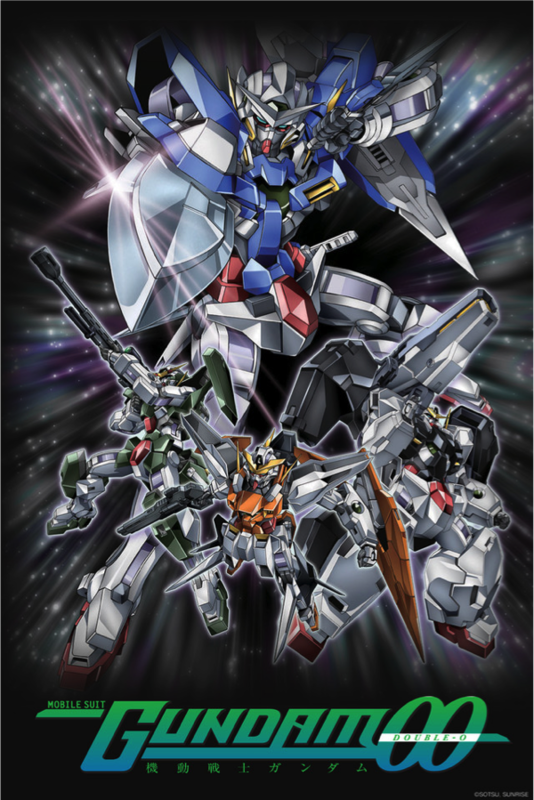 I’ve been wanting to own this series for quite some time but the price gouging from Pony Canyon made it difficult. They split the show into three collectors boxsets and are still charging $70 for each. WIll you able to surprise us even more with a secret dub created for Sound! Euphonium Season 1 ? And what about AMANCHU? Because the Rokka dub came really as a surprise considering Pony Canyon USA released it without a dub. Please make me HAPPY :D.
Sound Euphonium doesn’t need a dub, the Japanese cast are perfect. And Anime limited don’t dub things, they just license and offer the best anime boxsets in the UK. Oh and the Rokka dub was a Crunchyroll thing I believe. They’ve produced a few dubs for anime. Thanks for telling me things i already “kinda” know. And Anime Limited does dub things. 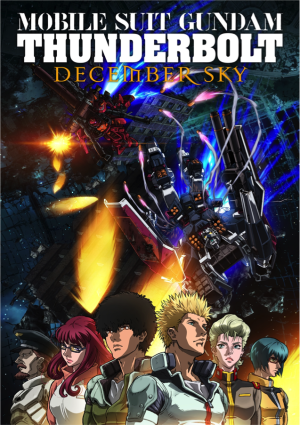 Anime Limited produced a dub for a few of their movies, recorded is the US. And what i was saying perhaps like Rokka (which was likely produced by Crunchy yea) there was a dub produced for Sound Euphonium… And as a Fan of KyoAni i rather have my anime dubbed. Well you clearly didn’t know about who produced Rokkas dub, or that there was no dub for Sound Euphonium. So you’re welcome. Good thing you can’t edit comments here so people can see for themselves that you were begging for a dub from a company that doesn’t dub anime television shows. On another note, Anime Limited still haven’t dispatched the Sword Art Online Ordinal Scale boxset I ordered through their webstore. Which is a little disappointing as had I ordered through Amazon I would have received by now no doubt. I’ve checked my emails throughout Friday and nothing to date. The last time I ordered through them it looked as if it was MVMs online store(Correct me of Im wrong) had dispatched. Matthew dude, stop being so full of yourself. And start learning to read. You clearly have issues with criticism, what a laughable little man you are. Perhaps you should stop with the passive aggressive Beta male attitude after I made the effort to respond to you as you were clearly clueless about the subject. It’s not my fault that you react badly to criticism as evident above. Word of advice, when someone corrects you its best not to be insulting and take that you were wrong. Then you said this “Good thing you can’t edit comments here so people can see for themselves that you were begging for a dub from a company that doesn’t dub anime television shows.” Well that ticked me off. First i wasnt begging Anime Limiited/All the anime for a dub, I just hoped that was one created by crunchy or Ponycan or w.e that wasnt announced or none known off just like Rokka. (wouldve been a very nice surprise.. “WIll you able to surprise us even more with a secret dub created for Sound! Euphonium Season” where is the begging in this.? Honestly mate, there is hardly anything in the world of anime you can teach me. And that was what i kindly tried to tell you but clearly missed its mark. You’re an embarrassment mate, jog on. Okay folks, that’s quite enough of that – this isn’t the place for it so let’s leave it right there. Feel free to remove our posts, I won’t continue. And apologies to yourself and Jeremy. The crux of the problem was clear above. Um, hate to bother, but J.C. Staff animated Amanchu, NOT Production I.G. Will Sound! Euphonium Season 1 be released only as Limited Collector’s Edition or will there also be regular blu-ray release as well? At this time we only have a Collector’s Edition Blu-ray release scheduled.